When your employees understand how digital and IoT technologies are the core driver of change and a cultural shift across the enterprise, only then does the digital transformation process begin. As a leading developer of extensive courseware with customized educational delivery systems, we can tailor training and certification programs with classroom based, e-learning, on-demand services and demand generation programs. As part of our business enablement services, our Experts for Hire (E4H)™ bring deep experience that can be immediately applied to expand the value you provide to your customers. A flexible engagement model and fluent in navigating and managing digital and IoT business challenges, we can customize an E4H™ program to accelerate sales, augment technical staff or to ensure efficient project implementation. Transform how your teams sell your products and services in today’s digital, data-driven economy. Discover how you can strategically align your technical, marketing and sales teams by strategically mapping your solution portfolio to address the specific needs of your customers. Through our sales acceleration services, we collaborate with you to design selling solutions that enable an adaptive mindset, drive engagement and build sales. At Fast Lane Digital, our mantra is the Digitization of Enterprise is only 1% finished– meaning we’ve got a long way to go before enterprises become truly digital. 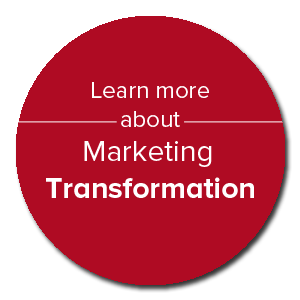 We believe that Digital Transformation is first and foremost a business transformation. People, not technology, are the most important piece in this digital transformation journey. In fact, Digital transformation isn’t an end goal; it’s a continuous journey. A Digital Enterprise is really the outcome of learning more about the relationship between technology and customer behavior to earn relevance among them. We help you and your enterprise pivot from thinking digital to being digital and transform your enterprise from the inside-out, and at scale. Together with our partner ecosystem, we constantly push to understand and shape the value digital brings to your enterprise. 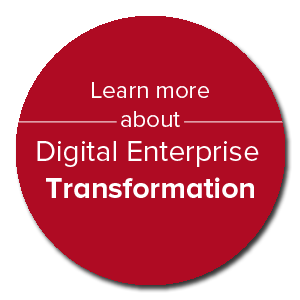 Our goal is to enable you and your enterprise to accelerate your Digital Transformation journey. The first step is always the most difficult, this is certainly the case when establishing your enterprise’s first digital business practice. The thought of starting from scratch without any structured processes on which to build digital capabilities or develop digital products and services is a very daunting and risk-laden endeavor. Taking a first principles stance on the successful transformation into a digital enterprise involves answering these three questions: Why? What? And How? These three simple questions point the way forward. It’s important to take this stance as it helps to move aside buzzwords and catchphrases like Industry 4.0 etc. Now to answer these questions most consulting firms will provide a methodology or approach around Digital Transformation. However, we believe prescribing a specific methodology or approach is fool’s gold. Even if the approach is a good one and followed to a T, it’s unlikely any enterprise would have the intended results. Why? Because methods are situational. Each enterprise is unique with its own dynamics and underlying processes, organization, people and products. Those dynamics have an oversized influence on the enterprise’s overall success. Our approach is rooted in Digital Transformation principles which we customize for each engagement and therefore find the right answers for your enterprise’s responses to the three questions of Why? What? And How? Industry boundaries belonged to the old economy, and the digital revolution has swept them away. Entirely new ecosystems of enterprises are emerging to meet demand. The Digitization wave is sweeping all enterprises and leaving behind in its wake a redistribution of market shares. We view this disruption as an opportunity to forge a new digital persona for your Enterprise, Department and/or Division, provide an abundance of opportunities for your trusted channel partners and gain new market shares in new and emerging blue-ocean ecosystems. In the world of IoT and Digital Transformation, complexity is a given; your channel must deal with an even greater set of challenges, as they are bombarded by many vendors with similar spiffs and goals. Channel enablement means that you need to compete for the attention and concern of another company’s salesforce. We perceive this problem as a learning issue, using the right blended approach of tools to support learning, motivation, transference into the job and ultimate mastery of how to sell your solutions into the market. At Fast Lane Digital, we serve every level of your channel and your ecosystem and participate and serve as your agent of scale for bringing your vision to your ecosystem and channel. We are your trusted partner in creating a custom plan that involves designing, developing, delivering and managing your channel and ecosystem go-to-market initiatives. Fast Lane Digital offers customized demand generation services including webinars, seminars, roadshows, test drives and hackathons to drive qualified leads to your sales team. Webinars and Seminars: This service addresses relevant use cases of a particular solution, and is customizable to meet your particular vertical targets and go-to-market approach. Fast Lane expert facilitators work with you to tailor the message, and then deliver the webinar authoritatively, representing your organization. Awareness webinars help generate interest with your customers as they just begin to consider engaging with your organization with regards to a particular offering or solution. Roadshows: Our solution experts bring your solution message to your customers through a roadshow program, typically 1 day in length (business decision makers typically attend the morning session while technical decision makers typically attend the morning and the afternoon sessions). The roadshow deliveries are tailored to your customers business and technical decision-makers, focusing on connecting your solutions capabilities to common customer care-abouts and desired business outcomes. The goal is to educate multiple stakeholders, influencers and your customers about the possibilities, creating internal excitement and dialogue that can lead to furthering the sales cycle. Test Drives: The Test Drive program is an essential component of our sales acceleration services, allowing vendors, resellers and system integrators to demonstrate the value proposition and ROI of their solutions to their key customer accounts. A Test Drive (or proof of concept event) provides technical decision makers with a deep-dive into use cases and solutions that provide a rich and rewarding learning experience. When you attend a Test Drive, we address all of your customer’s potential questions and concerns so your customers will have an appreciation of the operational and business value that can be achieved by implementing your solutions. In other words, a Test Drive is a means of closing sales through learning. A team of management and digital transformation experts are here to support critical parts of your solution sales cycle. This includes Account Managers (AM), Pre-Sales Engineers (SE) and Solution Architects (SA) trained at selling and designing a variety of solutions. We apply deep experience and broad skills to help you close deals, ultimately bringing greater business value to your customers. Our Expert 4 Hire (E4H)™ services are flexible and customizable to suit your business and to advance your human capital. We provide resources to deliver a variety of E4H™ services for your company, including coaching and mentoring for accelerated deployments. Furthermore, these engagements can also incorporate effective and widely adopted deliverables such as network audits, best practice guides and architecture design white boarding. E4H™ is offered in custom increments depending on your specific needs. For more information, visit our Expert for Hire (E4H)™ page. Sales Readiness Diagnostics: Sales Readiness ensures sales reps and managers are prepared with the competencies and resources needed to engage with potential buyers and current customers, uncover opportunities, and manage those opportunities to a successful conclusion. That outcome is achieved through training, knowledge sustainment, skill development, skills transfer, coaching to mastery, the strategic use of content, and sound sales management practices. Our Sales Readiness Diagnostics allow you to evaluate the current state of your sales enablement practices to identify where you can increase effectiveness and better support your sales force. Buyer Persona Development: If your sales force doesn’t understand your market and buyers, they’re selling by superstition and luck, or pitching products and hoping for a connection. This is why so many opportunities stall or end in a No Decision status. Buyer Persona Development lays a critical foundation on which you can build your marketing initiatives, sales enablement programs, and sales playbooks. Buyer research details the problems, needs, and psychographics of each of your common buyers, including their buyer’s journey, decision process, and decision criteria. This allows you to partner effectively with your marketing team to construct effective sales messaging and buyer engagement content, and prepare your sales force to focus on uncovering, validating, and meeting the decision criteria that matter to your buyers. Sales Playbook Development: Do you need help getting your sales force aligned around your sales strategy and executing effectively? Sales Playbooks capture and codify your company’s background, buyer personas, products, sales process, sales methodology, and practices that are conducive to generating scalable, repeatable, and predictable sales. Your favorite sports team has a playbook. Your sales team should, too. We can help you select the elements of your strategy to document and guide you in the various ways to implement your playbook, engage and align your sales force, and achieve the potential of scalable, repeatable and predictable sales results. Sales Enablement Support Services: Readying and enabling your sellers and frontline sales managers is one of the most important things you can do. Do it well, and the resulting sales growth makes you a Sales Enablement Hero. Whether you’re just starting a sales enablement function or manage a mature team supporting a large sales organization, sometimes you just need an extra hand from experts who have been there and done that–and can lighten your load. Our sales enablement experts will guide you, support you, or do the work for you, as you implement systems, process, methodology, tools, training and projects, to better support your sales force and improve your organization’s sales performance. Sales Enablement Advisory Services: Readying and enabling your sellers and frontline sales managers is one of the most important things you can do. Do it well, and the resulting sales growth makes you a Sales Enablement Hero. Whether you’re just starting a sales enablement function or manage a mature team supporting a large sales organization, sometimes you need advice from someone who’s been there and done that– some third-party, expert perspective. Our sales enablement experts will advise, counsel, and coach you as you set-up or evolve your department into a high-functioning team of world-class sales enablers. We can help you determine which initiatives will deliver the most value and coach you as you execute effectively to better support your sales force and improve your organization’s sales performance. Sales Effectiveness Diagnostics: Sales Effectiveness Diagnostics allow you to evaluate the effectiveness of your sales strategy, tactics, process, and methodology to identify opportunities to improve salesforce performance. Our experts and partners will survey, interview, and observe key members of your salesforce and sales management team to identify where you can increase your salesforce effectiveness and productivity. As a result, you’ll receive a full report with recommendations on how to proceed. As needed, we can help you design, develop, and implement the resulting sales performance improvement projects, and monitor and evaluate the results. Sales Learning System Diagnostics: Most sales training does not produce the intended results. While the training content can sometimes be the culprit, very of ten it’s the lack of purposeful sustainment, transfer, and sales mastery plans, and the absence of measurement and change leadership. Our Sales Learning System diagnostics allow you to evaluate the effectveness of your training efforts and learn where you can make changes in your system to produce better results. If you already know your training implementation approach needs an upgrade, also see Sales Mastery System. Sales Competency Modeling: Understanding the competencies that fuel top-performance is the foundation of improving sales results. Performance is a outcome, where the inputs are the person, their behaviors, and your environment. Performance levers are the critical competencies– the mindsets, knowledge, skills, behaviors– and the conditions which must be present in your environment for ethical, sustained, high levels of performance to occur. So, if you want to improve sales performance, you need to put the right people with the right competencies in the right roles, and provide the right environment. Knowing that true top performers are rare, to get the best results, you must also develop the middle 60% of your sales force to behave as much as possible like your top producers. Sales competency modeling lays a foundation of the mindsets, knowledge, skills, and behaviors that are required for success in each sales role. We can help you document your competencies from the ground up or customize from our sales competency library. From here, your options for performance initiatives are many. We can guide you as you use the competencies to hire, train, coach, and/or develop your salesforce to behave more like your top producers and improve sales results. Talent Development Platform: Fast Lane Digital's Talent Development Engine (TDE) is a SaaS platform that allows a sales professional and their manager to assess the sales rep’s competencies. The result is a report that shows where they are aligned and where there are perceptual differences, which fosters a targeted developmental coaching discussion. The system generates a personalized learning plan for the sales rep, based on his or her assessment scores. The plan includes training, mentoring, assignments, and/or job aids that support the competencies, to address competency gaps and foster ongoing employee development. Once you have established sales competencies by role, and have the training to address the competency gaps, the TDE is a systemic way to promote ongoing development and ever-increasing skill mastery. Sales Mastery System: Even the very best sales training will not change behaviors on its own. It requires a purposeful plan. Unfortunately, having a valid plan to guide your sales force along the path to sales mastery is an element that is missing from many training implementations. This is why most sales training does not provide the intended value (changed behaviors and improved sales results) or deliver a payback and return on investment. Fast Lane Digital’s 5-Stage Sales Mastery System is a learning experience and behavior change framework that supports your sellers (and frontline sales managers) in remembering, using and mastering the top-producer practices that were taught in training–which, of course, leads to a higher level of performance. Sales Training Support Services: Onboarding, training, coaching, and developing your sellers and frontline sales managers is one of the most important things you can do. Do it well, and the resulting sales growth makes you a Sales Training Hero. Whether you’re just starting a sales training function or manage a mature team supporting a large sales organization, sometimes you just need an extra hand from an expert who’s been there and done that– and can lighten your load. Our sales training experts will guide you, support you, or do the work for you, as you analyze, design, develop, implement and evaluate sales training. 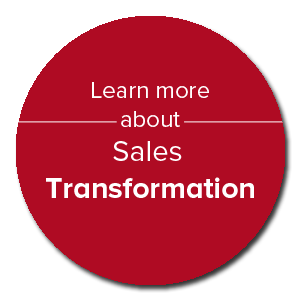 We can help you build and implement a course, a program, a curriculum, the 5-Stage Sales Mastery System, or a full-fledged Sales Learning System, to more effectively train and develop your sales force and improve your organization’s sales performance. Sales Training Advisory Services: Onboarding, training, and developing your sellers and frontline sales managers is one of the most important things you can do. Do it well, and the resulting sales growth makes you a Sales Training Hero. Sometimes you need advice from someone who’s been there and done that– some third- party, expert perspective. Our sales training experts will advise, counsel, and coach you,as you set-up or evolve your department into a high-functioning team of world-class sales trainers. We can help you determine which initiatives will deliver the most value and coach you as you execute effectively to better support your salesforce and improve your organization’s sales performance. The increasing rate of change brought on by digitization requires that solution providers make the learning process efficient and engaging in order to maximize results. Learning needs to be “baked in” and treated as integral to the workforce experience and deemed as a “core competency” as learning moves well beyond the classroom. Studies confirm that the most important learning happens outside of the classroom through on the job training (OJT) and through collaboration with peers (social learning). Fast Lane Digital can help you create a Learning System for your Digital Transformation journey that leverages non-classroom time as well as traditional programs in order to ensure that OJT and Social Learning opportunities are maximized and easy to execute. DTI leverages decades of deep expertise in the Science of Learning, Sales Enablement and Learning Technology to greatly improve the results of your learning investments. Curriculum Development Services: We are a full-scale end-to-end design, development and delivery training shop. Our expertise includes creating immersive, video-rich learning, immersive experiential workshops, micro-learning programs, and webinars and deep technical training addressing all organization roles within a Digital Enterprise. The Talent Development Platform: After completing the competency framework we load it into our online platform and map it to a curated selection of learning content and programs that you define. Resources can range from online videos, webinars, resource documentation, e-learning or classroom based learning experiences. Learners and their managers can collaborate to curate the right learning path to achieve the learner’s objectives. Rapid Competency Enablement: Fast Lane Digital enables an effective Learning Culture based on your organizations core competencies and workforce needs according to your Digital Transformation journey. Fast Lane Digital has a two-pronged approach to efficiently empower learners to achieve their target proficiency. Rapid Competency Framework Development: A “competency framework” gives you a picture of the knowledge, behaviors and skills that are required for role proficiency that charts towards a path of mastery. While a competency framework can take six to nine months to develop, our process achieves actionable results in as little as three weeks. Take me back to the Fast Lane Digital training page.